Agriculture And Constuction Machine Etc. 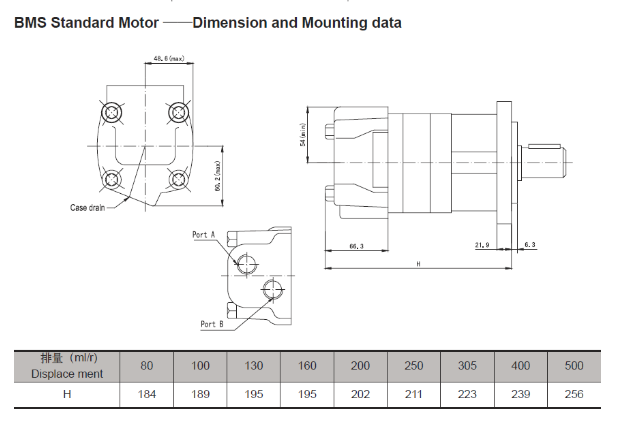 BMR series motor adapt the advanced Geroler gear set design with shaft distribution flow, which can automatically compensate in operating with high pressure, provide reliable and smooth operation, high efficiency and long life. Advanced design of spool and gerolor, which has Small size and compact structure. 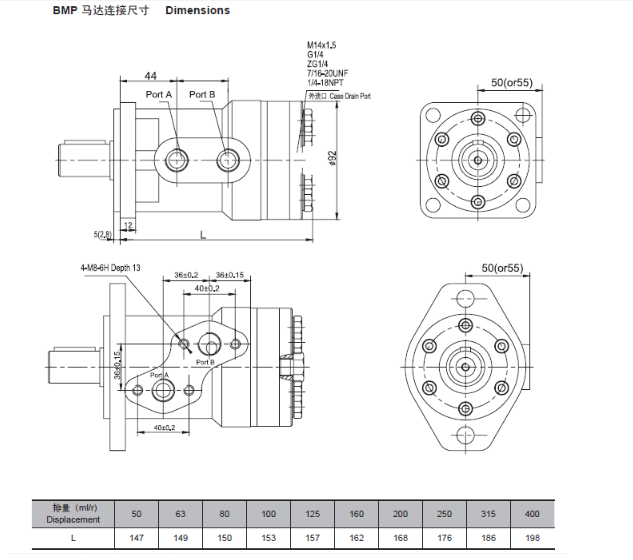 Credible design of shaft seal, which can bear high pressure and be used in parallel or in series. 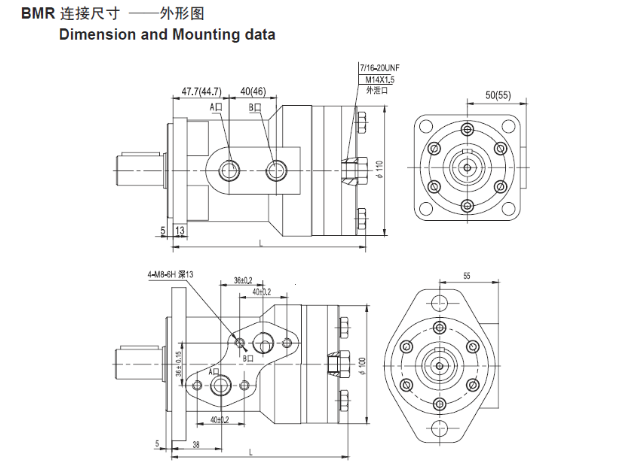 Direction of shaft rotation and speed can be controlled easily and smoothly. Best combination of efficiency and economy in medium duty applications. 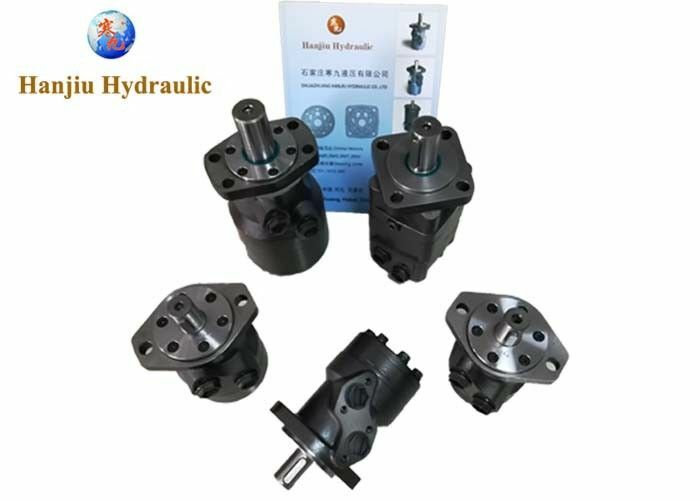 Any need for high torque, low speed applications.